A recent TV interview with Clive James—dying, but still remarkably chipper—prompted me to get down to what I’d been planning to do for some time, and start re-reading his magnum opus, ‘Cultural Amnesia’. At just short of 900 pages, this could be a daunting prospect, but first time round, just after it was published in 2007, I devoured this inspiring, engrossing, infuriating book in just the three weeks of a standard library loan. Indeed, it’s partly because I raced through it so enthusiastically the first time round, that I wanted to go back for a more considered second encounter. There are many areas of the arts in which length can be a serious drawback, especially in literature: crime novels, thrillers and SF were all much better when the novels were, on average, half the length they are now (see my earlier blog on Michael Gilbert). And that’s not just true of literature: blockbuster movies, ‘event’ exhibitions, prestige TV series, even, some might argue, operas, can all suffer from the inverse ratio that, the longer (or bigger) they are, the less effective their impact (often due to sheer exhaustion). Initiatives like ‘A Play, a Pie and a Pint’ have shown how much time-poor audiences can be attracted by something short and pithy. Sorry, that can’t avoid looking a bit like boasting, but I’ve drawn up the list to make what I think is an important point. What all these books have in common–apart from the fact that they’re well written, of course—is that they are each a truly immersive experience. By the time I had finished each of these books, my mind was in quite a different place, and I would never be able to think in the same way again about, say, the history of the British Isles, Prussian ‘militarism’, or ‘Victorian values’. Short books can of course also have a similar impact. Richard Holloway’s ‘Godless Morality’ is a slim 164 pages, but I don’t think anyone with an open mind could get to the last page without having that mind altered in significant ways. But that’s a work of ethics and philosophy. When we’re talking about history, or cultural history, there is something about the accumulation of significant details, about being drawn into a complex web of themes, narratives, personalities and events, about living intensely with the subject, for the weeks (or even months) that it takes to navigate through such long books, that is essential to the process of true learning, the kind of learning that changes minds. Of course, no-one is going to retain all the detail contained in any of these books, not even after a second, third or fourth reading. But what I find is, that the knowledge that that detail exists, that these complex webs of connections have been mapped, that the author’s conclusions—should they choose to come to any—have been arrived at only after years of living with and sifting through this mass of material, is essential to the process of absorption and understanding. In the age of the sound bite (or byte), of the shared item on Facebook, of 15 minute TED talks, this is not, perhaps, a popular view. But maybe it’s a necessary one. I didn’t know, when I started any of the books listed above, how reading them was going to change my view of their subjects, or of the wider world. On the other hand, I certainly didn’t pick them up with the intention of reinforcing already entrenched views. In many cases, these books surprised me (as a convinced atheist, perhaps most of all ‘A History of Christianity’) and often encouraged me to read further, or to enter into debates less dogmatically. Take Norman Davies ‘The Isles’, for example. His policy of referring to the British Isles, and their constituent nations and regions, only by the names by which they were known during the particular period he is writing about (eg Britannia, Alba, even made-up names for prehistoric eras) is such a forceful demonstration of the contingent nature of history that I’ve never thought the same way about nation states since. As Davies’ other great book, ‘Vanished Kingdoms’, forcefully demonstrates, nation-building has never been a teleological process. It was the Spanish philosopher George Santayana who first famously said that ‘Those who cannot remember the past are condemned to repeat it’. Perhaps if British and UK politicians had had the chance to read William Dalrymple’s ‘Return of a King’ (608 pages) they would have thought twice about once again becoming ensnared in the troubled history of Afghanistan but, sadly, that book was published too late to make that possible. But even if it had been around to influence the policymakers, back in 2001, would any of them have thought to read it? John Major’s favourite bedtime reading is apparently Trollope, and if that includes the devastating critique of society in ‘The Way We Live Now’, then that’s no bad thing, but I don’t see many of our present leaders, or their advisors, as serious readers. But, just maybe, instead of investing the 80 hours it takes to watch the five seasons of ‘Breaking Bad’, we put a similar time into a bit of serious reading, we might be better placed to challenge the policy-makers in terms they’d find hard to ignore. 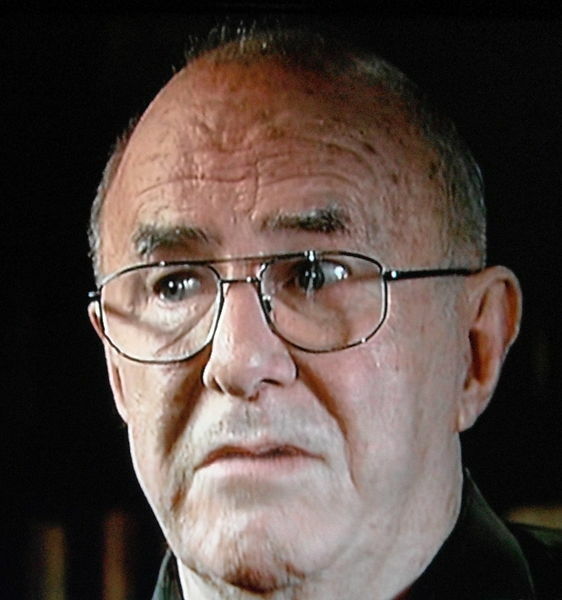 Which brings us back to Clive James, who pondered the book that became ‘Cultural Amnesia’ over a forty year period, as a defence of Humanism, and a celebration of diversity of thought. If he can spare forty years to write it, perhaps we can spare as many hours to read it.